When someone tries to break, disregard, or abuse an agreement they’ve made with you, I fight to set things right. I have been practicing civil litigation in San Jose and the San Francisco Bay Area since 1993. During that time, I have represented clients in civil matters both as plaintiffs and defendants. These include situations arising from business disputes, breaches of contract, collection matters, and commercial law matters. No matter the type of case I am handling, though, honesty and diligence are always the driving force behind my approach. 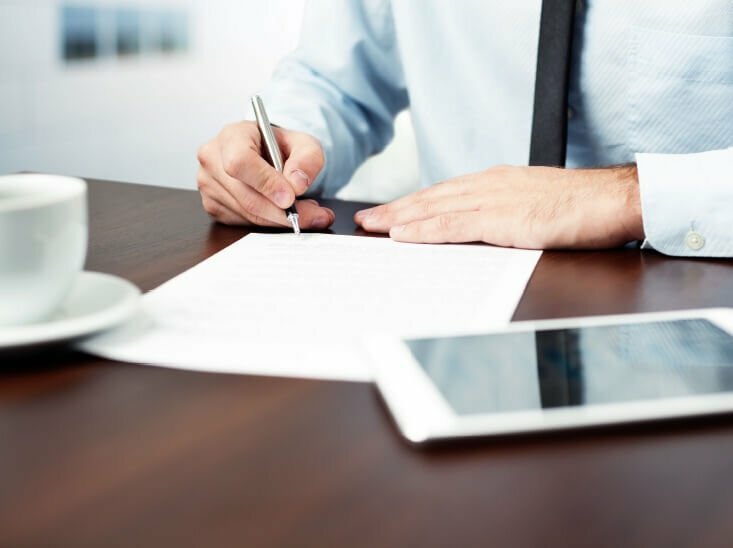 Whether you are being sued or think that you might need to sue someone else, it’s important to choose a knowledgeable civil litigation attorney. Before you can collect what is owed to you, ensure your agreement is legitimate in the eyes of the court. If you believe it is, call on me to help you collect. In California, contracts are legally binding and enforceable in a court of law. If the other side is trying to back out of your agreement, give me a call. There are many ways to resolve a legal dispute that don't involve trial. Explore whether mediation or arbitration may be right for your case. Winning a lawsuit does not automatically put money owed to you in your pocket. If the other side isn’t doing as the court ordered, allow me to help. After the California Labor Commissioner rules in your favor, you may need assistance claiming the wages you are rightfully owed. Successfully enforcing a judgment, contract, or Labor Commissioner Award has very little to do with strong-arming your opponent and everything to do with strategy. Years of experience have taught me this simple truth. When I take on a case, I start by analyzing the situation from my client’s perspective — then I dig into the facts. I examine the income, assets, and overall financial standing of the other side. I build a strategy based on what I’ve discovered, as well as what has worked well for my clients in the past. As the case progresses, I continually search for new information so that we can readjust our approach as needed. Let’s be honest. No one wants to hire a lawyer. Or, rather — no one wants to need to hire a lawyer. I get that. But even though it’s a difficult situation that has led you to me, I will strive to make this process as easy on you as I can. For starters, I will give you the knowledge and tools you need to make informed legal decisions. This means I will educate you on your options, advise you on how I believe we should proceed, then let you decide what you want to do next. As your case unfolds, I will also work to keep you updated on what’s happening, how our plan is playing out, and whether we need to reexamine our strategy. "[John got] the best outcome that we can hope for... I will not hesitate to recommend John to anyone." John is very knowledgeable, and as his client I felt our terms were fair and honest. So with his diligence, brilliant communications, and flawless timing, John nailed them all by liening their assets, and the lien is now a matter of public record, good for ten years and renewable indefinitely into the future. So trust one happy customer, this guy is GOOD! When my client attempted to collect on a debt, the debtor filed a cross-complaint, claiming collection-related torts of defamation, infliction of emotional distress, and invasion of privacy. My client discovered a breach of contract in their loan agreement and was awarded a judgment in their favor. I quickly enforced the judgment against the debtor's pending lawsuit against a third party. For this case, I negotiated the prompt payment of a creditor’s overdue promissory note after service of the lawsuit. After working with three other attorneys to no avail, this client came to me for help enforcing a judgment close to expiring. I took steps to amend the judgment, then figured out where we could collect from the debtor. I assisted a client with the enforcement of a promissory note that called for real property collateral, but there was no deed of trust. After filing suit, I worked strategically and was able to collect the debt owed to my client while preventing a need for foreclosure. Choosing an attorney becomes a much simpler task when you can see evidence of their ability. On that note, I invite you to explore the solutions I've implemented in order to resolve cases similar to your own. When someone isn’t fulfilling the promises they’ve made to you, it’s easy to get caught up in the sheer frustration of your situation. But before you go declaring any vendettas, let’s take a moment to look at the big picture. Someone owes you something. You want to collect what was promised. The priority isn’t getting revenge — it’s figuring out what they have so that we can succeed in claiming what you’re owed. In matters of debt collection, a forceful approach is sometimes necessary. Often, though, a deal can be struck if both sides are willing to work together to find a solution that fits their needs. In the hope of saving my clients from unnecessary stress and expense, I always explore this option before taking any drastic legal measures. If traditional, amicable negotiation is out of the question, we may explore a number of other options to resolve your case. Depending on the details of your situation, we may pursue litigation, arbitration or mediation. If you’d like to learn more about what each of these options entails, I encourage you to read more about alternative dispute resolution. No matter the strategies we employ or the form of dispute resolution we choose, my top priority is giving your case the time and attention it deserves. After all, a well-designed and well-executed legal plan means a greater chance of being able to deliver you good news.